I am getting gear together to cast my own .358 bullets using the Lee 358-125-RF. An internet search brings up a chart that shows that the Lyman or RCBS 429 top punch is the correct match. Yet, reviews online say it isn't even close. When I look up RCBS .38 caliber RNFP cowboy molds the chart shows that the top punch should be the 633. Do any of you use the Lee 358-125-RF mold and what top sizing punch to you use? I assume the Lyman 495 or RCBS 633. I have a RCBS 636, don't remember why I bought it. I was not happy with the way it worked so I filled the cavity with linotype. Now it works great, doesn't leave marks on the bullet. Has pushed thousands of bullets through the sizer. I cast the 125 Lee RF. I have also filled the cavities on my 44 and 45 top punches. 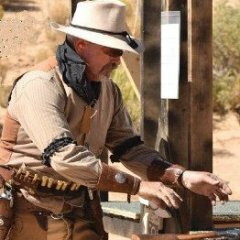 For most of our "minute of steel" purposes, any 38 caliber top punch that does not leave the bullet nose mangled is good enough. For Lee molds, when I am forced to use them, I eyeball my collection of top punches and try one that appears to fit. It it doesn't chew up the nose in a Lyman lubrisizer, I continue to use it. Comparing pictures of the Lee 358-125-RF and the RCBS 38-140-CM designs, I'd bet that #633 top punch made for the 140-CM would work a treat. 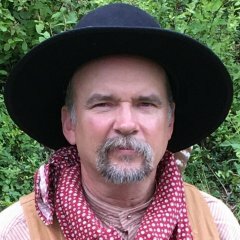 If you need an exact fit, I'd contact Lee customer service and ask them. 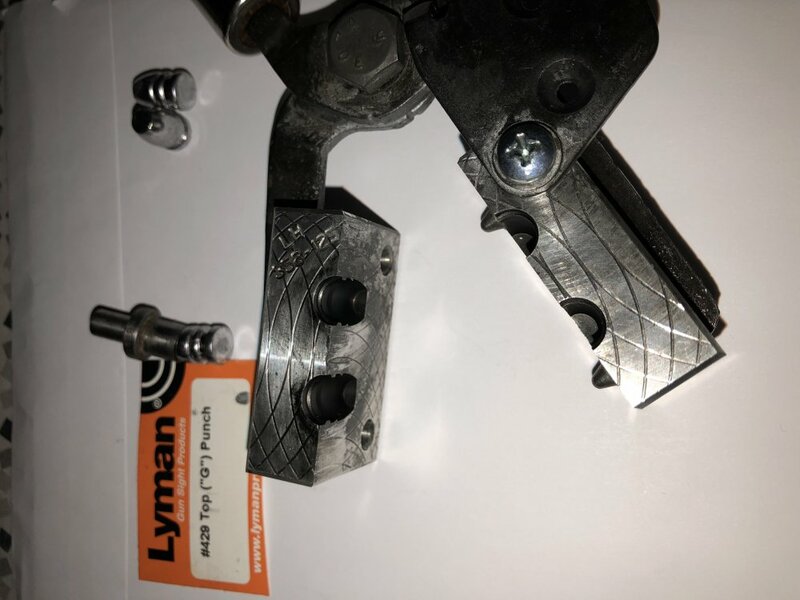 It's a real shame (and one of several reasons I don't use Lee molds) that Lee will not offer top punches for the Lyman and RCBS and Saeco lubrisizers to fit their bullet designs. All other high-volume commercial bullet mold makers are quite happy to provide well-fitting top punches. And, as Jackson Rose implied, for our purposes, a top punch with a flat design (or filled or filed to a flat) works just fine for running in a lubrisizer. It will not damage a RNFP cast bullet. A similar option is to fill the cavity with JB Weld. Use a tiny bit of grease as a release agent and seat the punch on whatever bullet shape you're trying to duplicate. After the JB cures, just pull the bullet off the punch, and scrape away any excess JB. Or...….. Lube with Lee Alox, dry, and load using a Lee Factory Size Die. No muss, no fuss. I can cast 1000 one day and lube and load them the next day. To heck with handling the bullets through another all day step. No leading and accurate in our long range matched to 150 yards. PS, use the release agent between the bullet and the JBWeld... not the JB & punch! This is the site that the poster found gives an incorrect recommendation for his Lee 125 grain bullet. So, he's seen this and it's less than satisfactory for at least the 125 grain RNFP, as I understand his original post. Google is not always your friend when it takes you to sites where the info is not very accurate. This is correct. I have ordered the #633. I will follow up on here with what I find out. Thanks All!